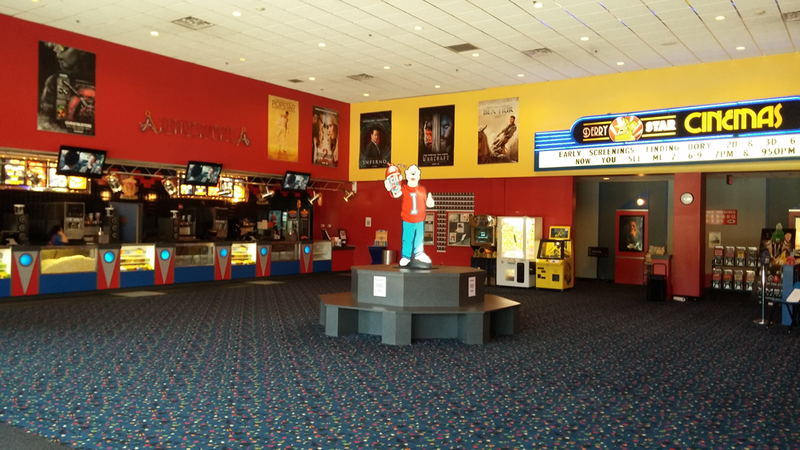 Join us at Derry Five Star Cinemas, where the theater is clean and the staff is friendly! We offer high back, stadium rocker seating with full digital picture and sound. Visit us on Tuesdays for our $6.00 Golden Ticket days - seniors 62 and up pay just $6.00 per show all day! We offer very competitive birthday party and group show packages. Enjoy our matinee pricing everyday until 6:00 pm. Also, be sure to enroll in our Frequency Rewards Program. See you at the movies!